SCOTTSDALE, Ariz. – Oct. 26, 2017 – Barrett-Jackson will auction a 2017 Ford GT that was generously donated by businessman Ron Pratte to the Evernham Family-Racing for a Reason Foundation, during the Scottsdale Auction, Jan. 13-21, 2018. The Evernham Family-Racing for a Reason Foundation will sell the supercar during the auction, with proceeds benefiting the Autism Society of North Carolina’s IGNITE program, which offers activities, skills training and educational workshops that address the social, financial, educational and employment needs of young adults with high-functioning autism or Asperger’s Syndrome. 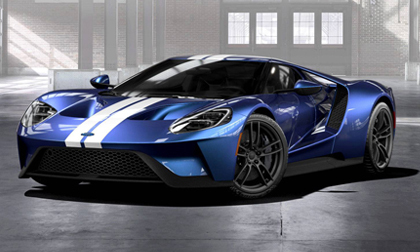 This will be the first current-generation Ford GT that has been donated for charity since the car was introduced.